You may have heard a lot about “silver” fillings that contain mercury. These fillings aren’t made from silver, but rather a combination of metals including mercury, tin, and copper. A naturally-occurring element, mercury can have toxic effects on the nervous, digestive, and immune systems, as well as lungs, kidneys, skin, and eyes. Fillings are not the only types of restorations that can contain mercury. For years, crowns have been made from base metal alloys or a combination of porcelain fused to an underlying metal. You won’t find any metals, including mercury, in dental crowns, fillings, or other restorations at your Yadkinville dentist, Virtue Dental Care. As a mercury-free and mercury-safe practice, the staff is equipped to place only beautiful and durable metal-free materials. 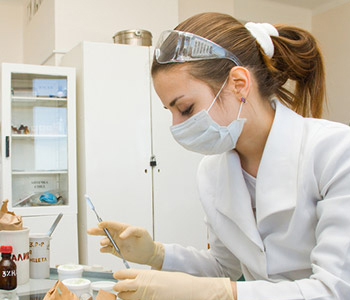 Unlike other dentists, Dr. Virtue and his team adhere to the International Association of Oral Medicine and Toxicology protocols for the safe removal of silver fillings and other types of restorations. Patients and staff can be exposed to mercury when removing amalgam fillings. We take steps to eliminate or minimize exposure, such as the use of a high-volume vacuum that pulls away mercury vapors, or ionizers designed to catch any vapors not vacuumed away. Depending on your needs, Dr. Virtue may recommend either a full-coverage crown or an onlay to replace either a big, old, or worn filling or an old, metal-based crown. In some cases, an even more conservative procedure known as a dental inlay may be recommended to replace a silver filling. The inlay sits entirely within the cusps of the tooth. The onlay or partial crown offers greater coverage for extensive decay or damage. It will cover the tip of at least one cusp, in addition to the shallow grooved surface of the tooth. Inlays and onlays represent another cornerstone of a holistic practice such as Virtue Dental Care: the emphasis on conservative techniques. Dr. Virtue will recommend fillings, inlays, or partial crowns made from biocompatible materials before a full-coverage crown, as long as these options will work effectively to restore the look, feel, and function you expect from healthy teeth. There is no better tooth than the natural tooth. By preserving as much tooth structure as possible, you get the most natural looking and feeling tooth. These long-lasting, mercury-free ways to restore your tooth can be made in a single visit at Virtue Dental Care. Dr. Virtue uses CEREC technology to design and make the tooth while you wait. You can walk into the office with a badly-damaged tooth and walk out with a new restoration a short time later, a process that eliminates the need to wear a delicate temporary crown and the need to schedule multiple appointments. For an appointment, Virtue Dental Care Patients call (336) 679-2034 and New Patients call (336) 679-2034.